Henry Ford once said, “Coming together is the beginning, staying together is progress and working together is success.” As Ford recognised, the coming together of people is the foundation stone of success. At Munster Hockey, we want to lay a new foundation stone, we want to bring some people together to build a new kind of success. Are you interested in being part of defining this beginning and shaping its growth? 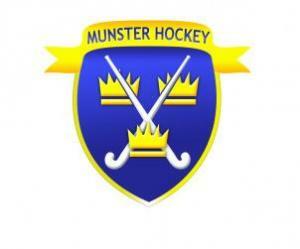 We want to develop our organisation and the sport of hockey in Munster. To do this we are bringing together a group of people that want to contribute their thinking, their experience, their voice and their action to the development of Munster Hockey. The purpose will be to design and implement a 5 year plan that, in this first iteration, will focus on the playing and coaching areas. If you want to get involved, it will mean participating in the design process and taking ownership of elements of the implementation. We want this to be a community initiative with communal effort. If you can give a little bit of time to this consistently over a period, do let us know. This is not a selection process, this is a call to action. You don’t need to be “suitably qualified”, although a love of hockey and a desire to see our sport grow in our province will be a big help!